In February 2013 Sony announced the Playstation 4. 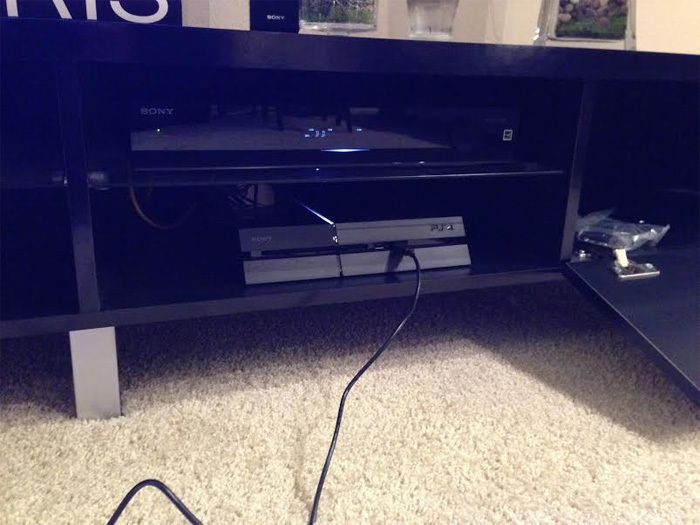 From that point to this past Friday (November 15th) I've been giddy excited for the console to finally arrive. This past Friday UPS delivered my Playstation 4 via Amazon and I couldn't be happier. We took a video of me unboxing the box from Amazon and all of its contents. After this video we do yet another video unboxing the actual Playstation 4 itself and all of the contents in the stuff that comes with it. After unboxing the Playstation 4 I hooked everything up, updated the firmware after having some difficulties getting signed into PSN and was off ready to play some PS4. For launch I got a couple of games (Killzone: Shadow Fall, Assassin's Creed IV: Black Flag, NBA 2K14, and FIFA 14) an extra controller, and the Playstation Camera. The first game I played was Assassin's Creed IV and I'm so glad I did its one of my favorite games this year.